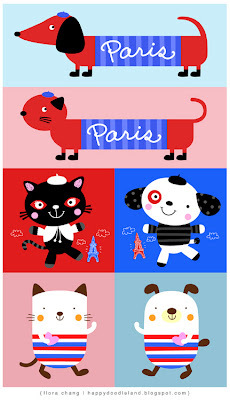 My friend's client in Paris liked the puppies I did previously and requested a matching set with kitties in it, so I have to help out again. Here they are. I've made them more gender specific this time. I hope he likes it.